The Latvian Academy of Culture Mixed Choir Sõla is one of the premiere amateur choirs in Latvia. Praised not just for their technical skill, but also their nuanced and artistically rich performances, the choir has achieved success and renown not just in Latvia but worldwide. The choir was one of the finalists in the European Grand Prix choir competition in 2017, and were also the guest choir and the 2017 Latvian American Song Festival in Baltimore. Much of the success and recognition that the choir has achieved can be attributed to lead conductor and artistic director Kaspars Ādamsons, who, with his boundless energy as well as deep appreciation and understanding of music, inspires his singers to achieve greater and greater heights. Ādamsons was the conductor for two of the songs at the 2018 All Latvian Song and Dance Celebration closing concert at the Mežaparks amphitheater – the joyful and vibrant folk song ‘Gaismeņa ausa, sauļeite lēce’ and the somber, powerful ‘Tavas saknes tavā zemē’, which displayed his versatility and skill as a conductor. 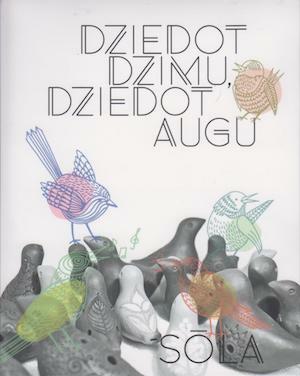 The choir celebrated their 20th anniversary in 2018, and, to mark this occasion, released a two CD album entitled Dziedot dzimu, dziedot augu. The goal of this collection is to spotlight the diversity and variety of Latvian composers throughout the years. The collection contains a total of twenty songs, and, to highlight the geographic areas of Latvia, four composers were selected from each of the geographic areas of Latvia – Kurzeme, Zemgale, Vidzeme, Latgale, as well as Riga. Additionally, to add a layer of complexity to the calculus, ten of the songs are folk song arrangements, while ten are original works. Using these requirements to select the works included in the collection has resulted in a truly diverse collection of songs by composers both well-known and less familiar. Ādamsons, along with assistant conductors Laura Štoma and Artūrs Oskars Mitrevics, have created a comprehensive and compelling document of Latvian choir music. The collection covers almost the entire history of Latvian choir music, and includes early choir music works such as Jāzeps Vītols dramatic and solemn lament for three downed oak trees in ‘Dievozolu trijotne’, as well as Pēteris Barisons’ lively and spirited ‘Pa zvaigžņu ceļu’. The collection begins with a joyous and rousing rendition of Alfrēds Kalniņš’ arrangement of the folk song ‘Dziedot dzimu, dziedot augu’. One of the benefits of the constraints set by the choir for the included repertoire is that it allows for some less well known composers to be represented on the album. Listeners will have the opportunity to become familiar with composers such as Ainars Plezers, who provides an arrangement of the folk song ‘Trīs sidraba upītes’, full of undulating harmonies, as well as Solvita Ivanova, who provides a wintry scene in ‘Bij dziļa ziema’, creating a snowy musical landscape with poet Rainis’ text. Some of the composers have a limited link for their corresponding region – for example, Canadian Latvian composer Imants Ramiņš is included as one of the composers from Kurzeme (indeed, the composer was born in Ventspils, but he and his family fled during the war when he was just one year old). However, this allowed for the inclusion of Ramiņš’ arrangement of the folk song ‘Pūt, vējiņi!’, which is one of the most beautiful modern folk song arrangements. The gentle, constant flow of the song as it builds to a crescendo provides for a stirring interpretation of the song. Though all the composers represented are from Latvia, not all of the songs are in Latvian, for example Ēriks Ešenvalds’ ‘Only in Sleep’. This slightly sentimental song is elevated by soprano Laura Štoma’s soaring solo, displaying Ešenvalds’ talent for creating memorable melodies. 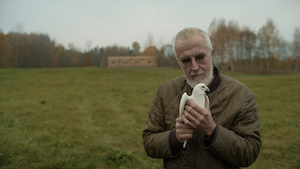 The spiritual ‘В начале было Слово…’ (In the Beginning was the Word) by Pēteris Butāns balances a mysterious, mystical introduction with a tormented prayer for mercy. Perhaps the most momentous performance on the album is the choir’s rendition of Pēteris Vasks’ ‘Mūsu māšu vārdi’, a work nearly ten minutes in length. As with many of Vasks’ works, the work is full of dramatic tension and conflict, as well as themes of nature – the titular mothers of the Māris Čaklais poem are birds. The work concludes with the choir providing birdsongs, representing birds nesting in the trees. The CD booklet contains extensive notes on the composers and compositions by musicologist Orests Silabriedis in both Latvian and English, as well as the texts and translations for all the songs. In a charming touch, the booklet also includes both recent and childhood photos of all the choir members. 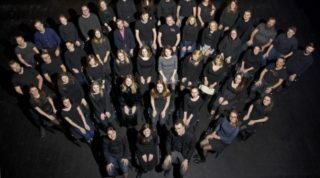 Over the course of its twenty songs, Dziedot dzimu, dziedot augu provides for a vivid panorama of Latvian choir music – well-known as well as lesser known works and composers, folk song arrangements and original compositions, covering a broad musical spectrum of nearly 150 years of Latvian choir music. The choir Sõla, guided by their indefatigable and inspired conductor Kaspars Ādamsons, again confirm their status as one of the top amateur choirs in Latvia, with their technical ability complemented by their emotionally and artistically rich interpretations. For further information, please visit the mixed choir Sõla website. 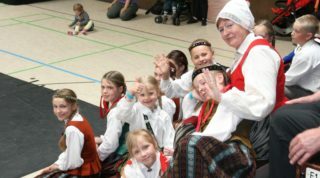 Oglīte is a children’s and youth folklore group from the Ropaži region in Latvia. Recently, the group celebrated their 25th anniversary, and released an album of folksongs, entitled Lustīte mana, laimīte mana in 2018. Not only do Oglīte sing and play musical instruments, but the ensemble also includes other cultural elements in their performances, such as dancing and games. Ranging in age from 7 to 20, Oglīte have performed in many Latvian towns, as well as varied European Union countries. The leader of the ensemble is Ligita Šreibere. Most of the album is vocal performances, with some instrumental accompaniment, such as on the song ‘Ziedi, ziedi, āra pļava’, which features a solemn string based introduction which then leads to unaccompanied harmonic singing by the ensemble. There are also elements of the traditional Latvian ‘calling style’ singing in songs like ‘Es savos bāliņos’, which features a confident and authentic vocal performance by Līva Ozola. There are also traditional Latvian instruments like the kokle on songs like ‘Skaisti ziedi pureniņi’, as well as the stabule on the instrumental ‘Kaķ’ādiņa’, a duet between Līva Ozola and Undīne Simbirceva. There are many dance songs on the album, such as the lively ‘Ciganovskis’, as well as the more subdued ‘Henķa polka’, performed on the kokle by Anitra Berga. The group also performs instrumental works from outside of Latvia, such as the woeful ‘Igauņu subate’ from Estonia, and the slightly sentimental ‘Shottis’ from Finland. The album also has a few humorous moments, such as on ‘Gulu, gulu’, where the narrator refuses to wake up, claiming a frightful headache, until his true bride comes along and he miraculously recovers to be able to go along with her. The song ‘Lāci, lāci’ also instructs the bear to wash his mouth before he gets any porridge. The collection ends on the positive and uplifting title song ‘Lustīte mana, laimīte mana’, a song about happiness and good fortune following one wherever one goes, leaving ones sadness by the side of the road, and not worrying about going off to war. Though performed mainly by children, Lustīte mana, laimīte mana is not necessarily a children’s album – the vocal and instrumental performances, as well as the song selection, reveals a certain maturity. 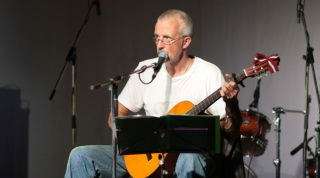 The arrangements are usually simple, if not sparse, which result in the performances being quite intimate and personal. 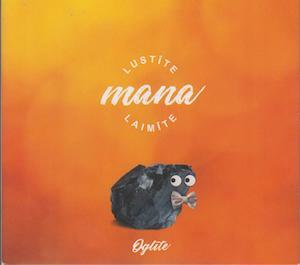 Including a variety of Latvian folk elements and styles, Lustīte mana, laimīte mana is a well-performed and engaging album, confirming the talents of this young ensemble.